The pipeline giant TransCanada, stymied in its attempt to drive Keystone XL through America’s heartland, is facing renewed opposition to its “new and equally misguided proposal” to build the Energy East pipeline across Canada and ship tar sands oil via tankers along the U.S. East Coast to refineries in the Gulf of Mexico. Indeed, the group notes that the Gulf of Maine, Acadia National Park, and the Florida Keys are all in the pipeline’s “crosshairs,” as well as iconic marine species and billion dollar commercial fisheries on the East Coast, including New England and Atlantic Canada’s lobster and sea scallops fisheries. And that’s on top of the pipeline’s climate impacts; according to the NRDC analysis, Energy East would bring a significant increase in carbon pollution—equivalent to the annual emissions of as many as 54 million passenger vehicles—and lock in high-carbon infrastructure expected to operate for at least 50 years. 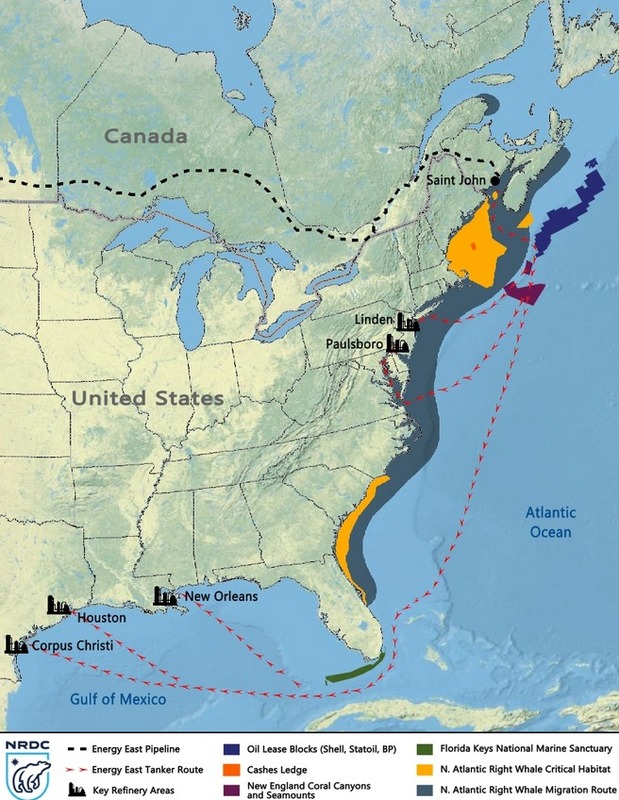 With the report, entitled Tar Sands in the Atlantic Ocean: TransCanada’s Proposed Energy East Pipeline (pdf), the NRDC joins a chorus of existing Energy East opponents. The project is currently under consideration by the National Energy Board (NEB), with hearings expected to begin in Saint John, New Brunswick, on August 8. In making its argument, the NRDC leans on a 2016 study by Canada’s National Academy of Sciences (NAS), which found that large portions of diluted bitumen—which Energy East would transport—can be expected to sink if spilled in water. The same report found that current regulations and spill response techniques are incapable of managing the unique behavior and higher risks of tar sands diluted bitumen spill in water. A press statement (pdf) from Greenpeace Canada notes that the NEB refused to consider the same NAS study in its Kinder Morgan pipeline analysis. “To be at all credible, the National Energy Board must give the NAS study a central role in its review of Energy East,” said Matt Abbott of the Conservation Council of New Brunswick. 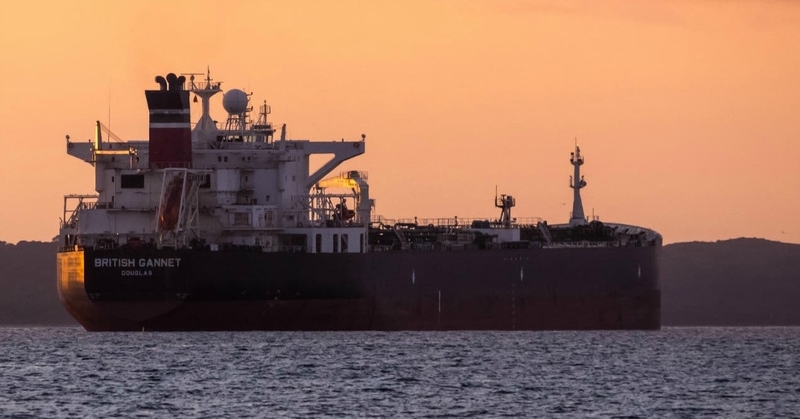 Meanwhile, the NRDC is calling for a tar sands oil tanker moratorium in U.S. and Canadian waters until appropriate spill response techniques are developed to address a diluted bitumen spill into water. “When thinking about the future we want, let us remember that the proposed Energy East pipeline crosses 90 watersheds, nearly 3000 waterways, and puts the drinking water of over 5 million people at risk along its route,” wrote energy and climate justice campaignerDaniel Cayley-Daoust. This entry was posted in Climate Change & Environmental Issues, Corruption, Demonstrations & Protests, Economics, Energy, Human Rights, Water and tagged Atrocities, Big Oil, Capitalism, Climate, Climate Change, Corruption, Economics, Energy, Energy East, Environment, Human rights, Keystone XL, Oil, Pipeline, Protests, Tar Sands, TransCanada, Water on July 27, 2016 by ew.